Budget airline SpiceJet is gobbling up disgruntled pilots and engineers of stricken Jet at up to 50% salary discount while IndiGo and GoAir are less interested in poaching crew. Time was when a supply squeeze launched salaries of pilots and engineers to stratospheric heights. At one point domestic airlines competed with one another to coax pilots and engineers with joining bonus and other perks. It's no longer so as a supply glut has taken hold of India's domestic aviation scene with the closure of Kingfisher Airlines and the continuing crisis in Jet Airways, which is delaying salaries of senior staff by a few months. 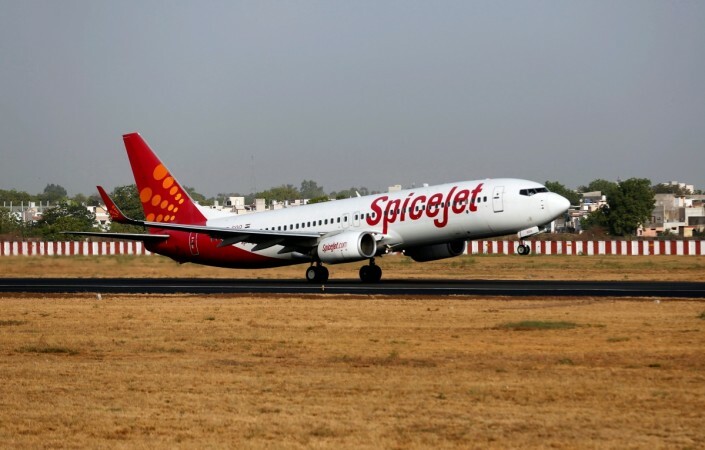 Spicejet is hiring Jet Airways pilots at salaries up to 30 percent less than their current pay while offering engineers up to 50 percent less, a report says. "The prospect of closure is certainly one of the reasons for professionals agreeing to take salary cuts. But average salaries at Jet Airways have also been higher than the industry level," a media report said quoting an aviation source. A senior aircraft maintenance engineer, who said he has applied to SpiceJet and Air India Express, said that he has got an offer in the range of Rs 1,50,000 to 2,00,000 a month as against the current cost to company (CTC) at Jet Airways of about Rs 4,00,000 a month, a report in NDTV said. "The offer is much lower. It will certainly be a forced choice. We are hoping that some investor would take over Jet and our salaries will remain protected." SpiceJet sources, meanwhile, said the budget carrier was offering salaries based on their own structure and not what a full-service airline paid. 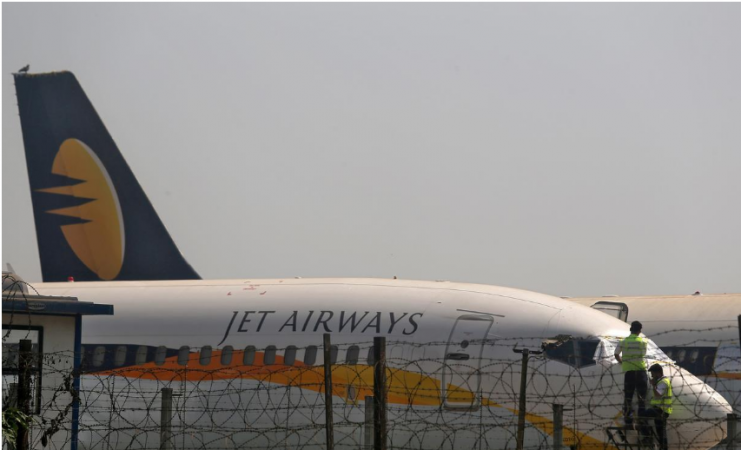 The woes of Jet Airways pilots and engineers are worsened by the fact that their choice is limited to mainly SpiceJet and Air India Express, the two airlines that use US-made Boeing aircraft like Jet Airways. Air India Express with 25 Boeing 737-800 aircraft is deeply in the red and is not inclined to take new personnel. The other airlines like GoAir and IndiGo have European-made Airbus aircraft as their mainstay, according to aviation observers. Every airline wants to avoid the huge cost and time losses for retraining middle- to senior-level pilots and engineers on a different type of aircraft. Excluding its 27 Bombardier turboprop airliners, its entire jet fleet is comprised of Boeing aircraft, which include 28 B737-800 planes, three B737-700, four B737-900ER, and 13 B737 MAX 8 aircraft. SpiceJet has another 193 B737 MAX 8 on order, which could be reviewed in view of the grounding of MAX planes around the globe. On the other hand, GoAir's fleet of 49 aircraft has 19 Airbus A320-200 aircraft and the rest are A320Neo. The 114 aircraft on order are also A320Neo, making it difficult for it to hire personnel trained on Boeing aircraft. IndiGo Airways, India's largest airline by far, with a 219-strong fleet apart from 401 on order, has a jet fleet limited to Airbus aircraft if its 15 ATR 72-600 turboprop planes are excluded. On the fleet are 13 Airbus A 320-200, 73 A320Neo, and one A321Neo. On order are 217 A320Neo and 149 A321Neo, according to sources. "We will have to train them for flying and maintenance of Airbus aircraft. In the case of pilots, it will need six months of training while for engineers the reskilling would take 3-4 months. This means the salary for entire training period will be a huge cost for us," an executive of a private airline operating Airbus planes told Tribune newspaper.